I have been busy with remodeling our Living room and Dining room so I have not had time to work on crafts. Now that we are done I am hoping that I will have more time to work on my crafting. 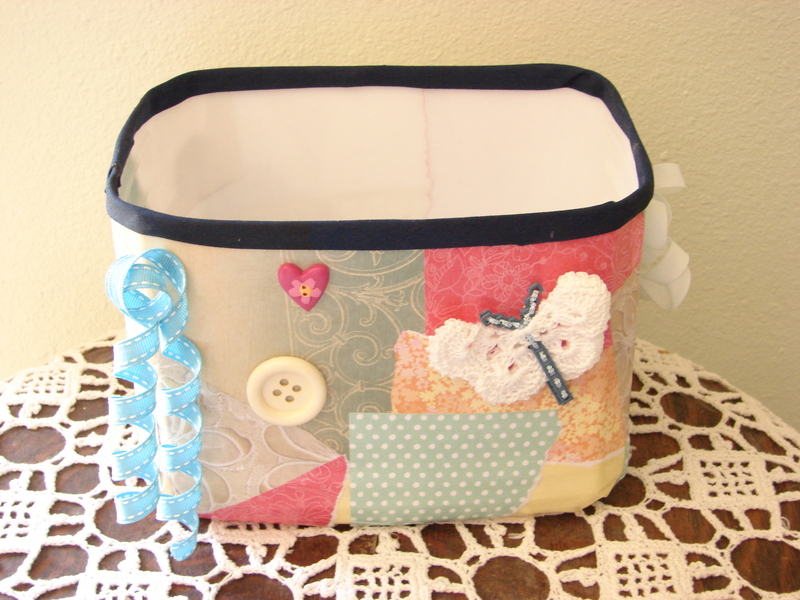 I wanted to share with you today what I had done with a Cat Litter Container. 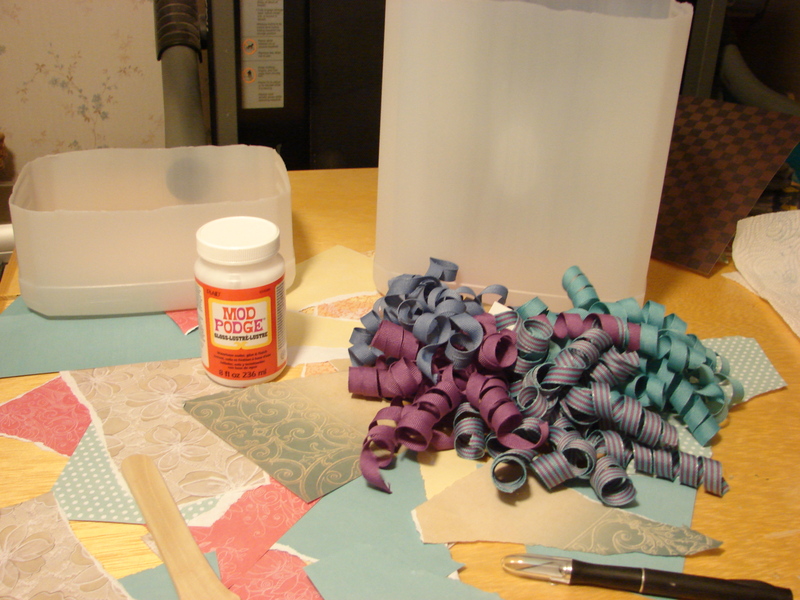 I love crafts of all kinds and I have been wanting to conquer a use for those Litter Containers. 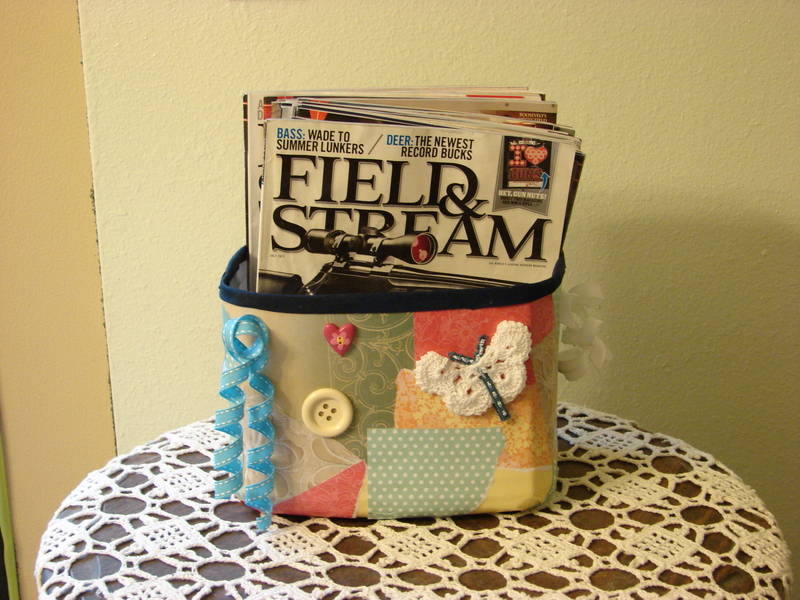 I had started to think of uses for this and came up with a magazine holder. This is the container I used for my project. My husband already used this one for his media for brass polishing. As you can see I took off the label on the container and washed them. I then proceeded to use my knife to cut the top off. I measured where I wanted to cut and then drew a line around the container. Some of you may be able to cut around it straight but as you can see even with the line drawn on the container I was still not totally straight. I did not worry about that because I was going to put something around the top. 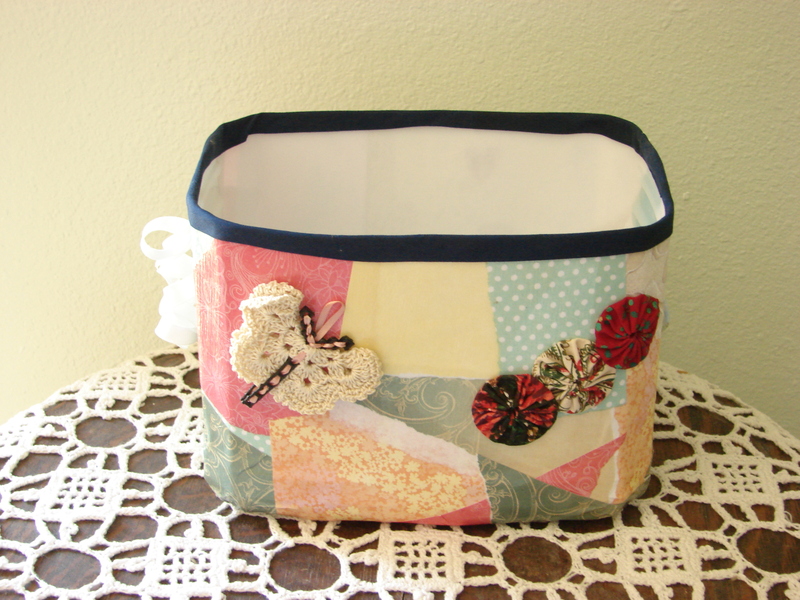 These two containers are going to be a holder for my toiletries in the bathroom and a holder for my yarn. I used some paper from my scrapbook collection and tore the pieces into smaller sizes. I then did a dry run and put paper up where I thought I wanted them to be before I glued them on with the Mod Podge. 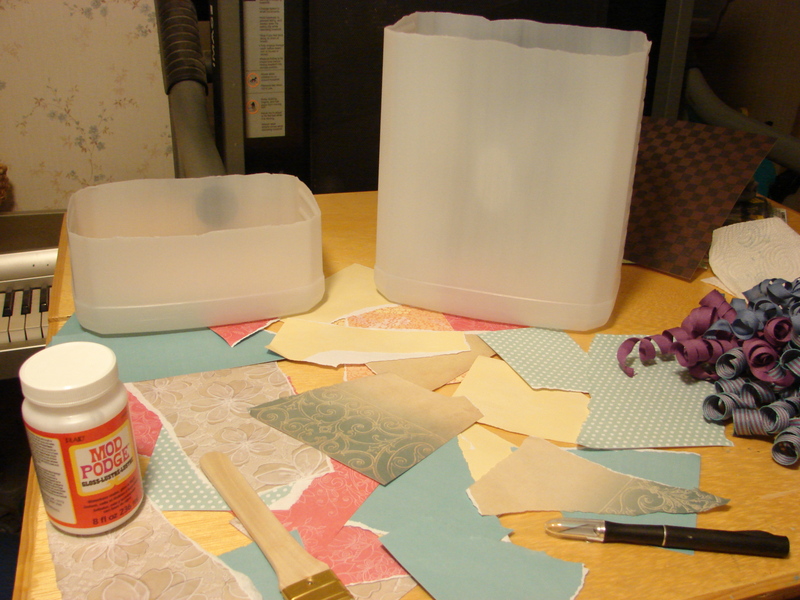 This is what the container looked like on all sides after I glued all the paper on. I did put 2 coats of Mod Podge on after to give it a finish. This is how I decorated the container on all sides. 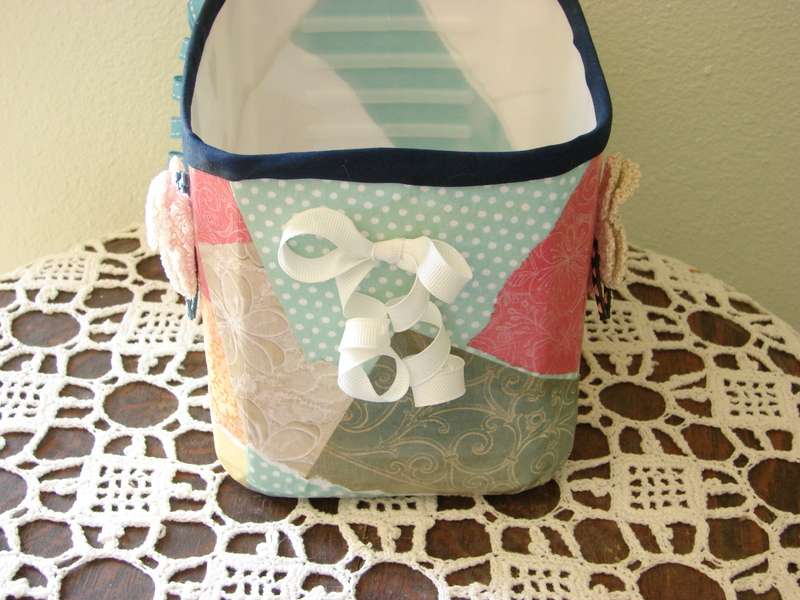 I put seam binding around the top to finish it off. 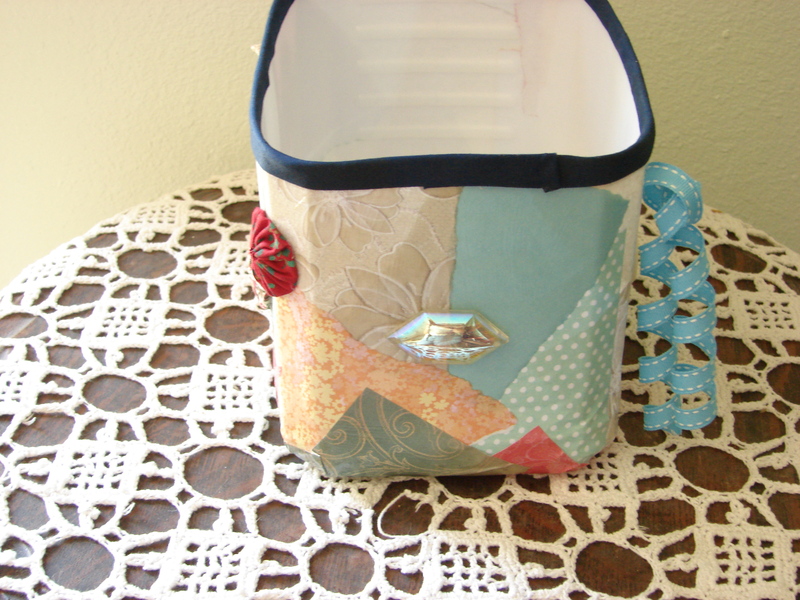 There would be limitless possibilities on things you could use to decorate the container. As you can see it does hold magazines well. There is still room for more! 🙂 I am looking forward to getting the other containers finished. 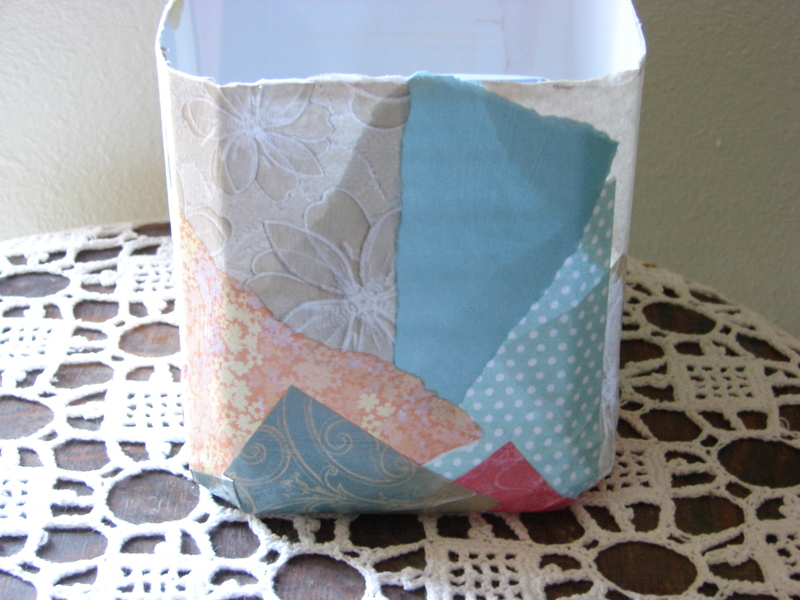 Here are some links for some more ideas for uses of Litter Containers. 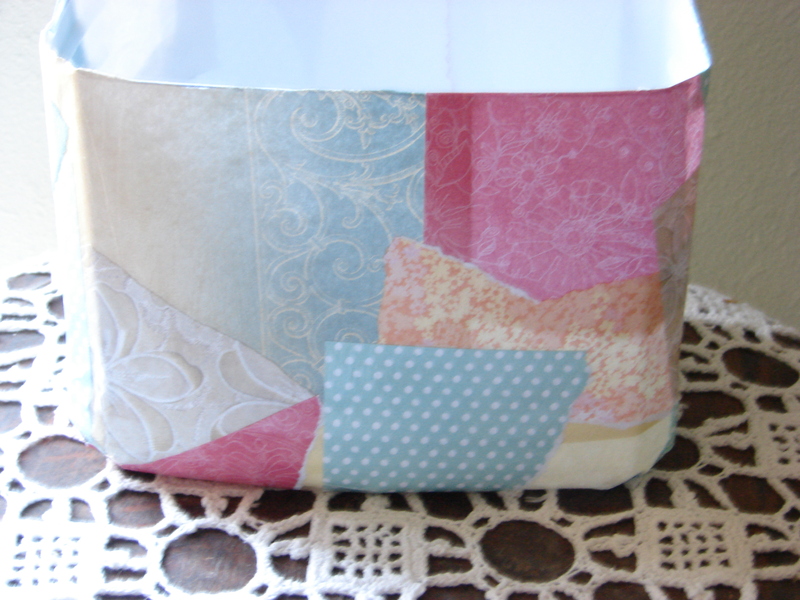 Reusing Cat Litter Buckets | ThriftyFun. 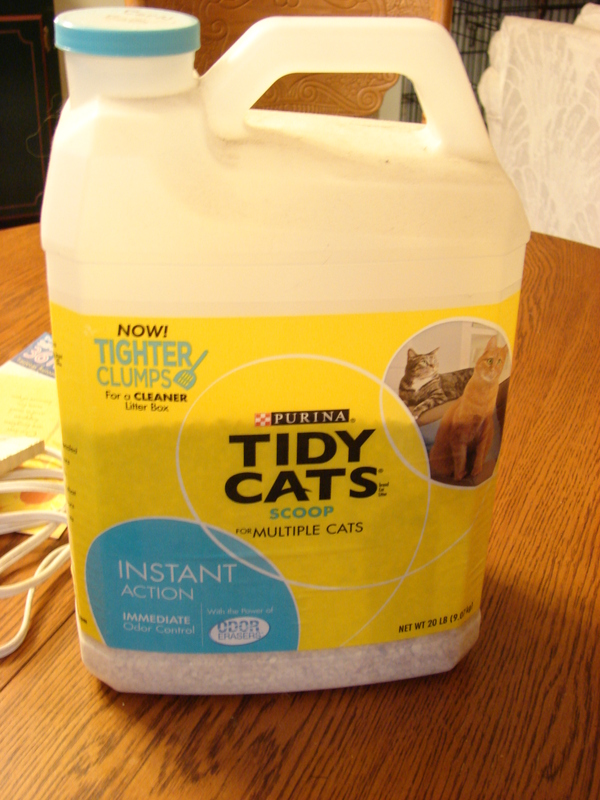 HowStuffWorks “Don’t Recycle: Reuse Kitty Litter Containers Instead”. Reduce reuse recycle on Pinterest. If you have any other ideas for these containers I would love to hear about them! Please leave a comment below.